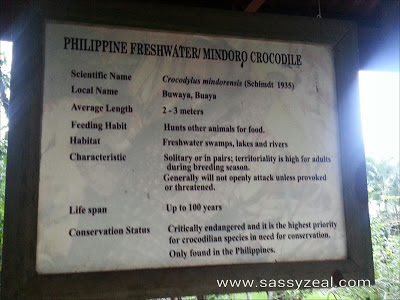 Philippine Wildlife Resource and Conservation Center or known before as Irawan Crocodile Farming Institute is the sanctuary of wildlife and mostly, crocodiles situated in Irawan, Palawan. In fact, two newest large crocodiles are dwelling in here today. 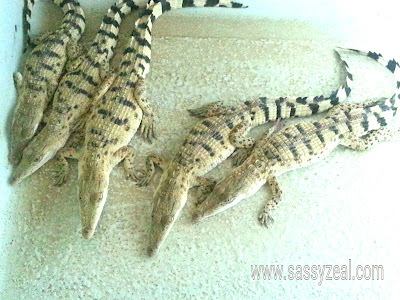 These crocodiles were caught last February 13 and 14, 2012, wherein, the crocodile names were derived; “Valentino” and “Valentina”. Valentino is 16 feet long while Valentina is 10 feet long. Valentina is almost half as large as “Lolong”, the official largest crocodile in captivity as recorded in Guinness book of record. Lolong is 20 feet, 3 inches long captured in Bunawan, Agusan del Sur, Philippines on September 3, 2011. Lolong is named after Ernesto "Lolong" Goloran Cañete, one of the veteran crocodile hunters from the Palawan Crocodile and Wildlife Reservation Center who led the hunt. 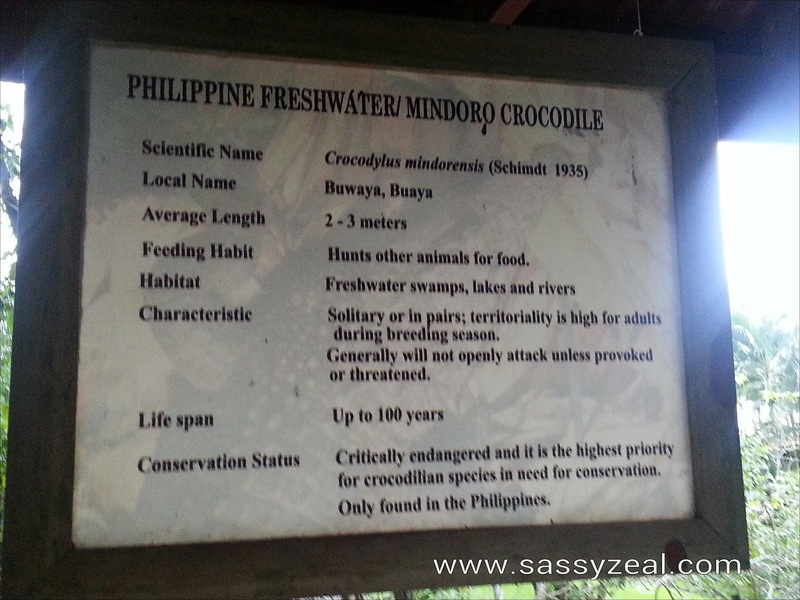 Crocodile Farm Palawan is preserving wild life such as these crocodiles. They are nurturing these kinds of animals with the proper habitat and balance food and environment. They are concern with the conservation of rarely found and endangered species. 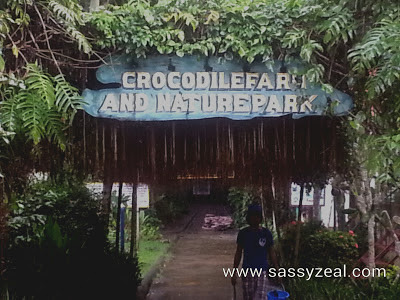 Crocodile Farm Palawan helps the natural repopulation of animals, especially crocodiles. 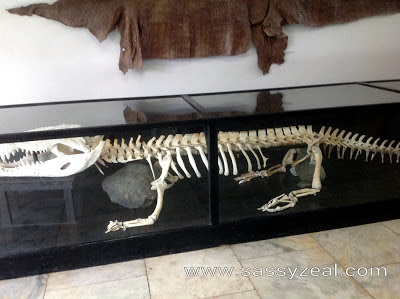 Upon entering the Crocodile farm, you will see a museum-like area where a huge skeletal bone crocodile measuring 17 feet long is displayed. 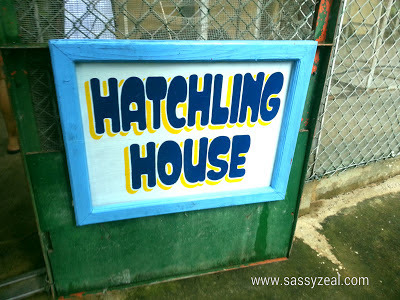 Here is the hatching house where baby crocodiles are being taking care of. Their ages are from 1 year old to 6 years old. 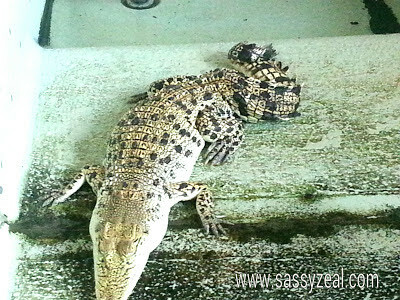 They have limited movements because crocodiles are more aggressive during night time than daytime. 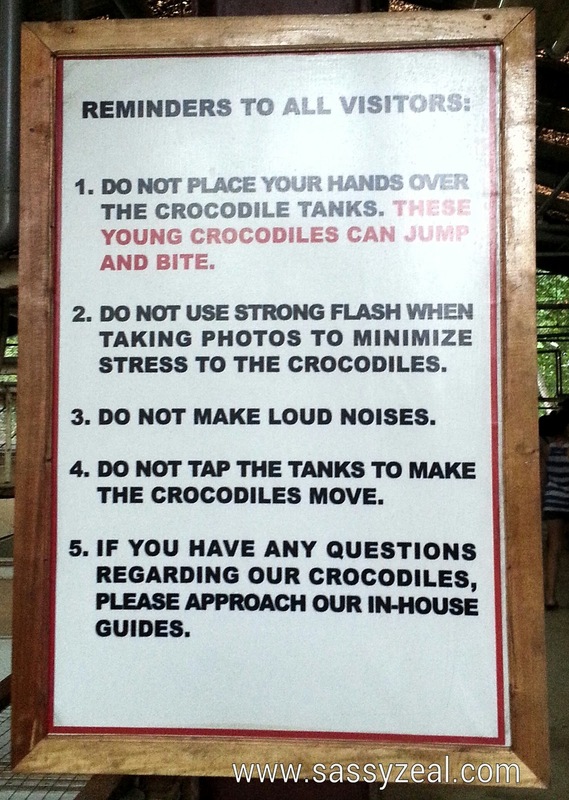 The next area is for adult crocodile’s ages 30 years old to 35 years old. We needed to step into an elevated view or else we’ll go out of the Farm with missing body parts. 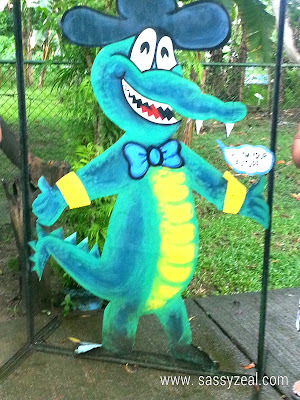 Meet Mac-Mac , he is the second biggest Crocodile in the Philippines. He is named after the town of Macaracas after it was captured in the river of Macaracas Palawan. 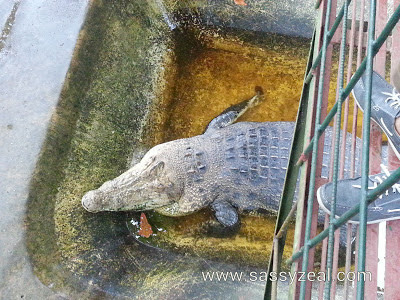 He is 16 feet long at the age of 16 years old. 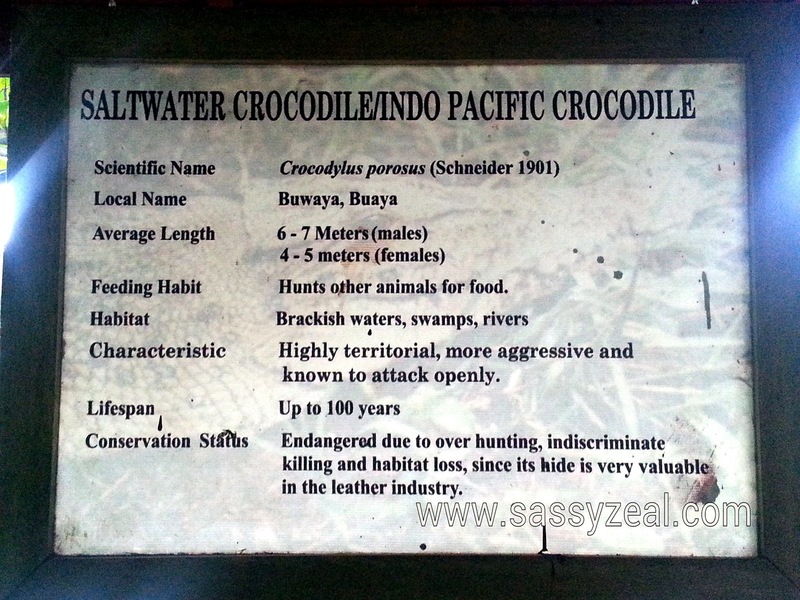 He is the biggest salt water crocodile in Palawan. 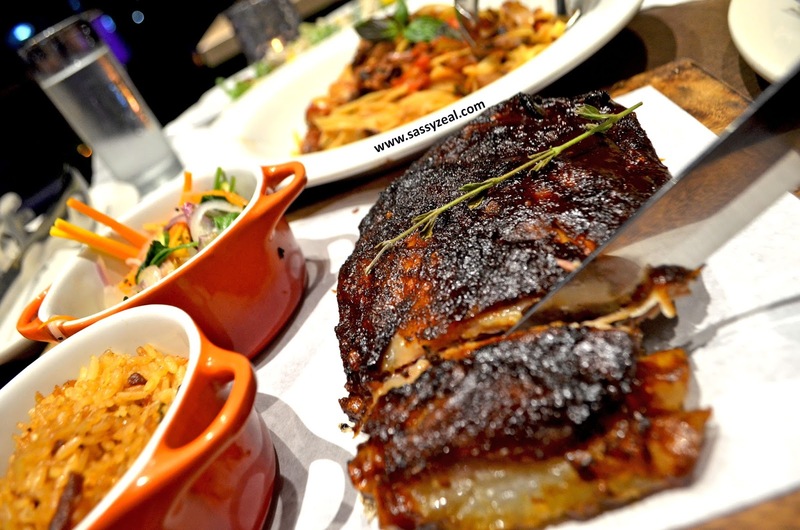 He is eating either pork or chicken meat. 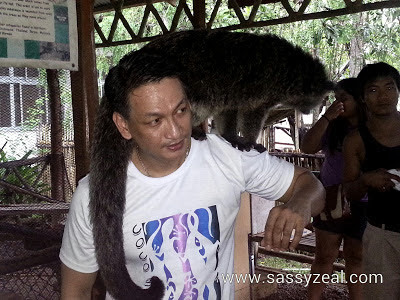 Aside from the crocodiles, we have met Ellah, a banana eating bear cat or “musang”. In english, it is called toddycat while musang is a malay term. 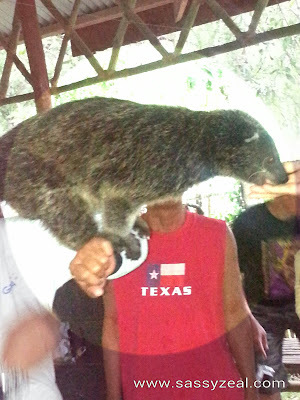 It Is a nocturnal mammal called civet. It seems Ellah is trained! 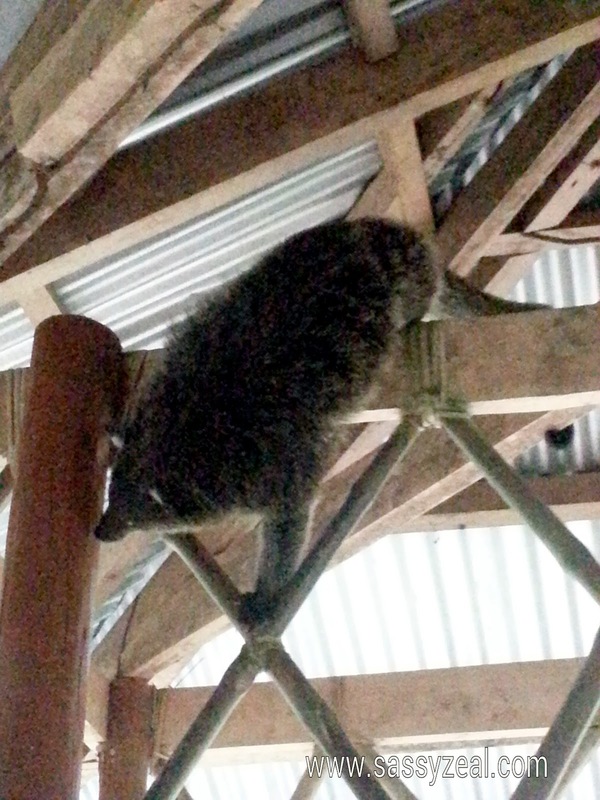 Whenever there are guests, she goes down from the ceiling and mingles with them. She knows how to pose! We paid an amount to for Ella to ride on the back for picture taking. 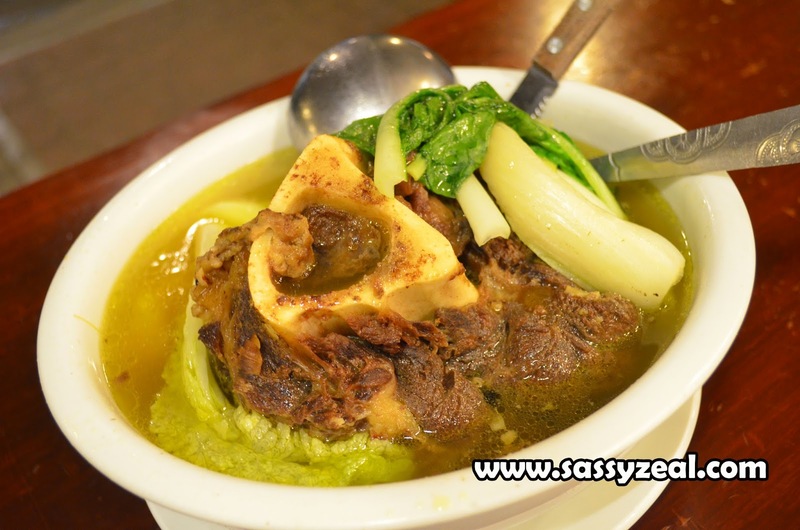 Nice Ellah! Good Job! Crocodile Farm Palawan is not only for crocodiles! 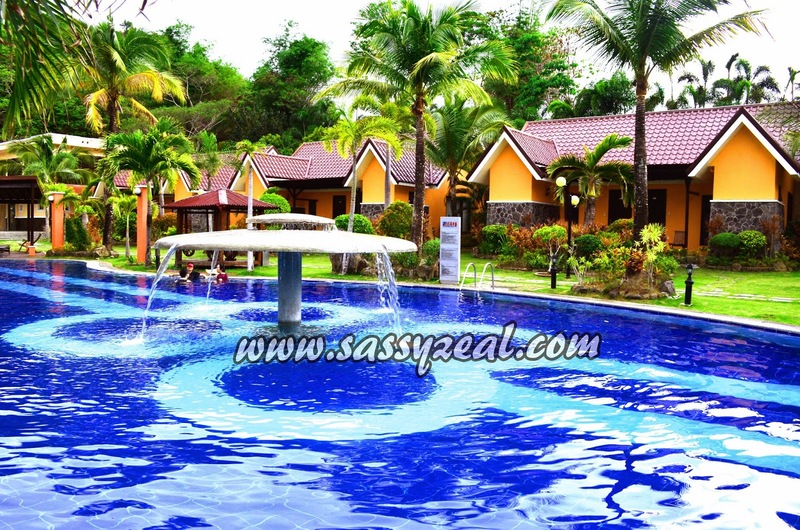 It is also a Nature Park too. Actually, this is my second time to see this place. Three years ago, I was able to explore the whole place where they are preserving the wild life. The nature park seems to be a virgin forest. 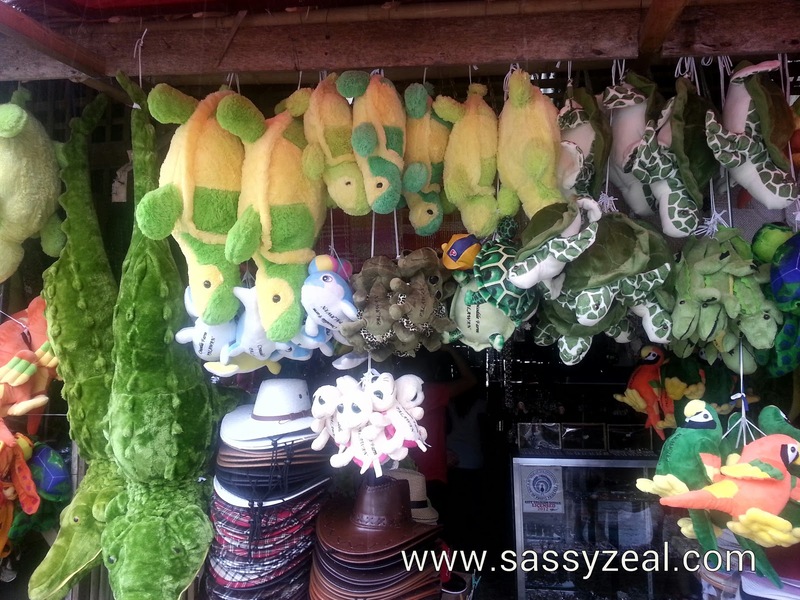 There are giraffe, bearcats, Ostrich and different kinds of birds such as Kalaw and many more. 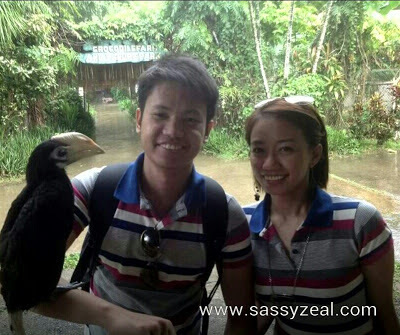 Palawan Crocodile Farm or the Philippine Wildlife Resource and Conservation Center is located in National Road, Puerto Princesa, Palawan. 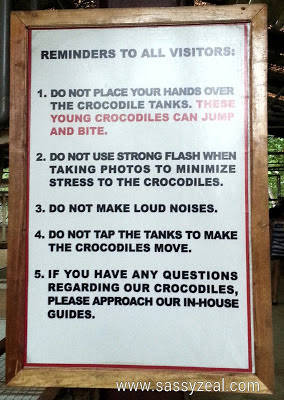 Five minutes travel time from City proper and get-off in Irawan Crocodile Farm.